I bought a new receiver and installed it in my mom’s Miata, because she was always complaining about not having hands free and because the CD player was broken. It’s basically a late Mother’s Day gift/excuse to borrow a convertible on a sunny weekend. I was sort of successful, but stupid frigging Alpine put the microphone in the faceplate case and I forgot about it until a closed everything up (I’m sort of glad, because it’s late and I’m too exhausted to figure out how to run the wire). I also chickened out on hooking up the steering wheel controls when I realized I’d have to cut into the car’s stereo connector and saw how little room there is under the dash. I’m debating just taking it some place to have it done, because I can barely get the wires out enough to see where I have to splice it in. It’s only two wires and a ground, but unless there’s a much longer length of wire hiding behind the dash, I have no clue how to get to it. 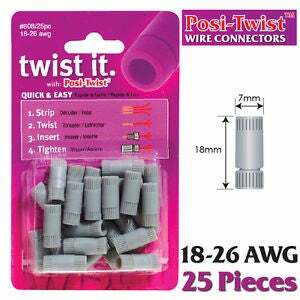 But these frigging twist connectors I bought from Crutchfield. Screw them so hard. On the one hand, they’re idiot proof, which is good, because I’m an idiot. On the other, I now have big bloody blisters on both thumbs from tightening all of these. These are the devil’s crimp caps.